The MAX South Terminus at SW Jackson Street near Portland State University is a major transportation hub. 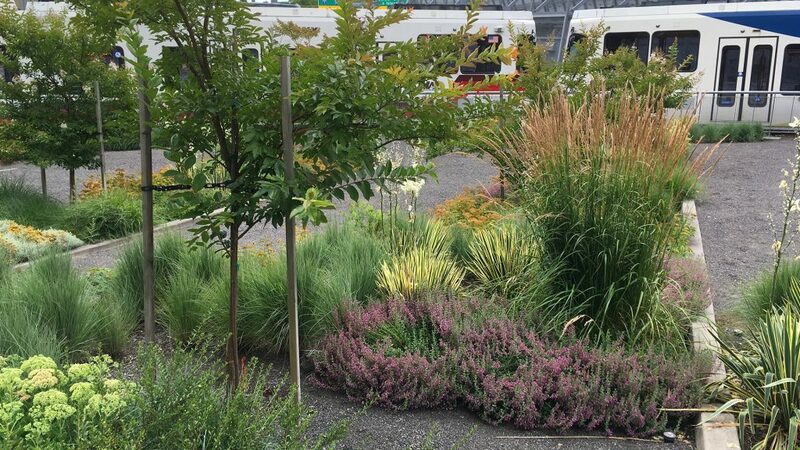 When the construction of a neighboring building resulted in many dying plants at the light rail facility in Southwest Portland, TriMet contracted NNA Landscape Architecture to provide a planting plan/design to restore the existing landscape. 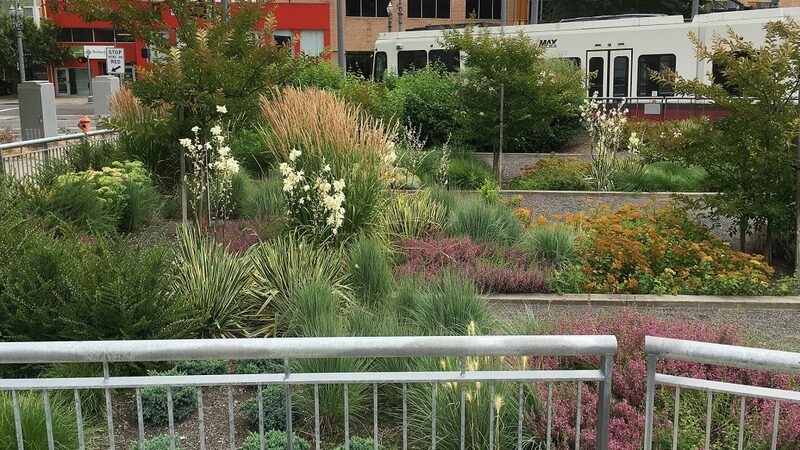 We worked with TriMet to understand the agency’s specific needs and expectations. 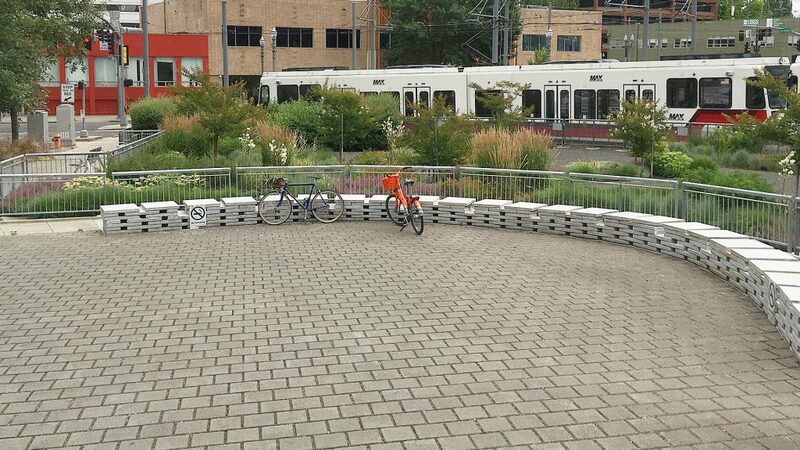 We coordinated with the City of Portland Bureau of Development Services to make sure we satisfied all requirements. 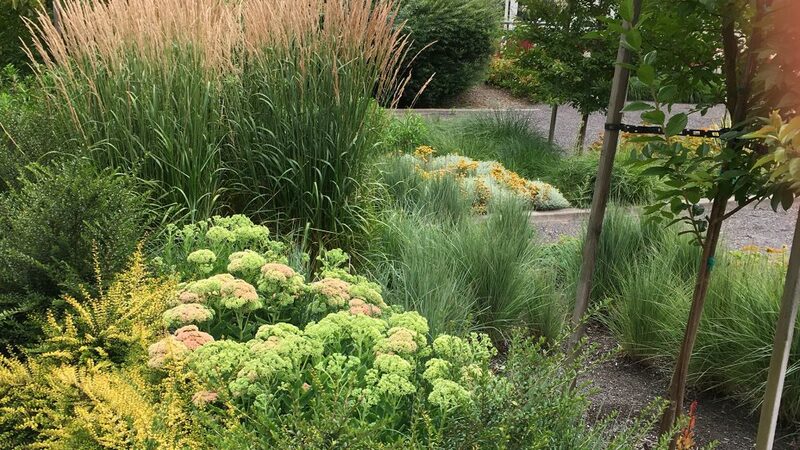 The approved planting plan incorporates very low-maintenance and drought-resistant vegetation to bring the area back into permit compliance and create an attractive landscape with horticultural interest throughout all seasons. 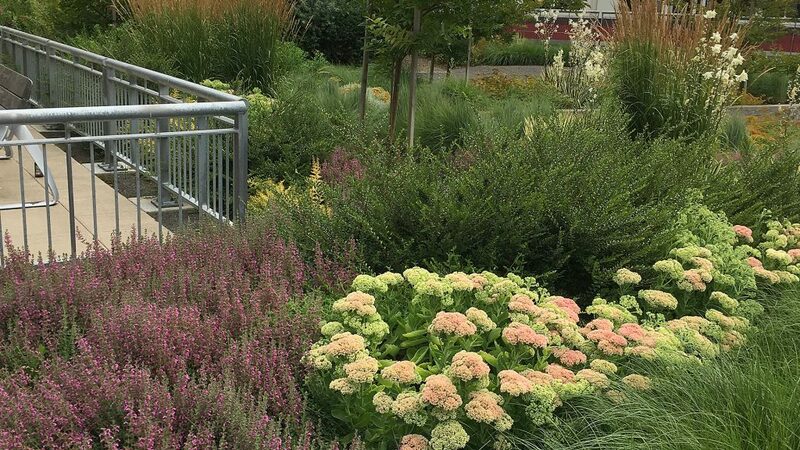 We provided bid documents and services during construction, helped source plants, selected substitutions, and observed layout and installation. 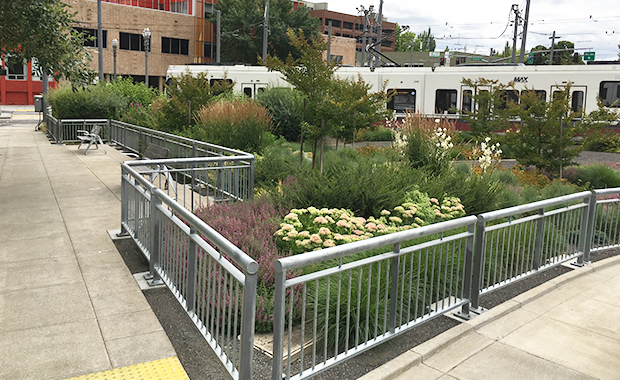 We also worked with architectural consultants to install a fence around the project to control access during construction.